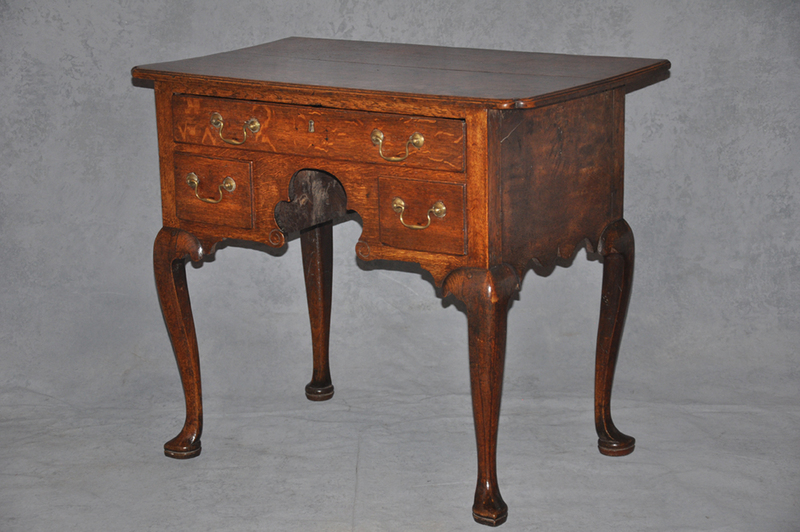 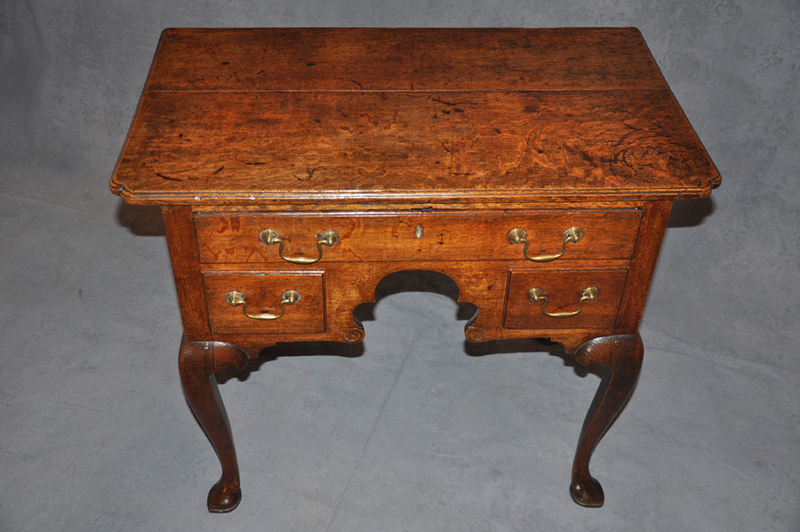 A wonderful early 18th century Oak Lowboy in very good original condition. 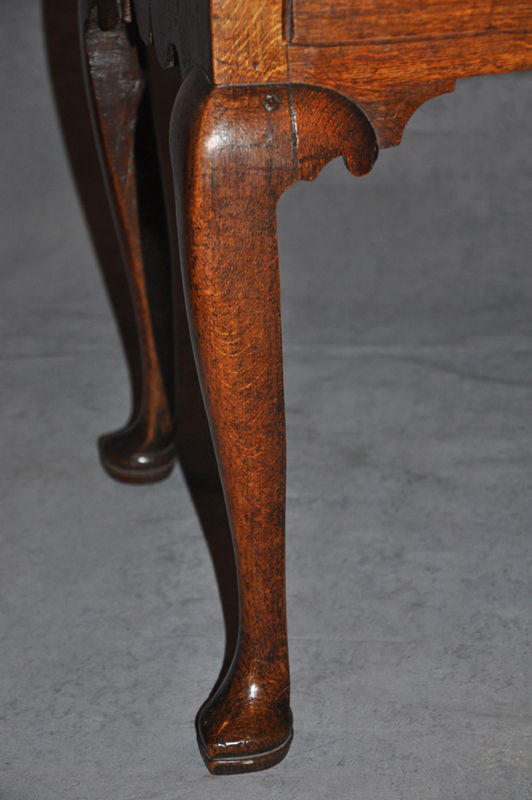 The shape of the leg is superb with nicely shaped ear piece and lovely beak foot, the freeze is particularly well shaped terminating in a neatly carved scroll at either side. 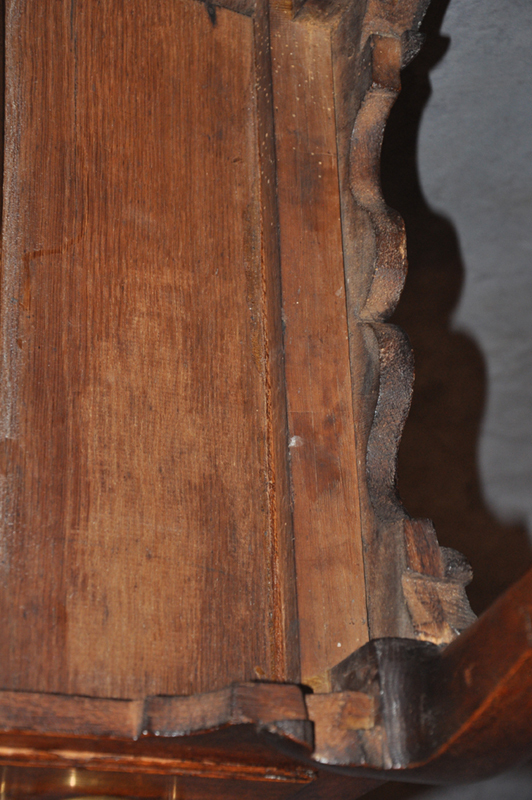 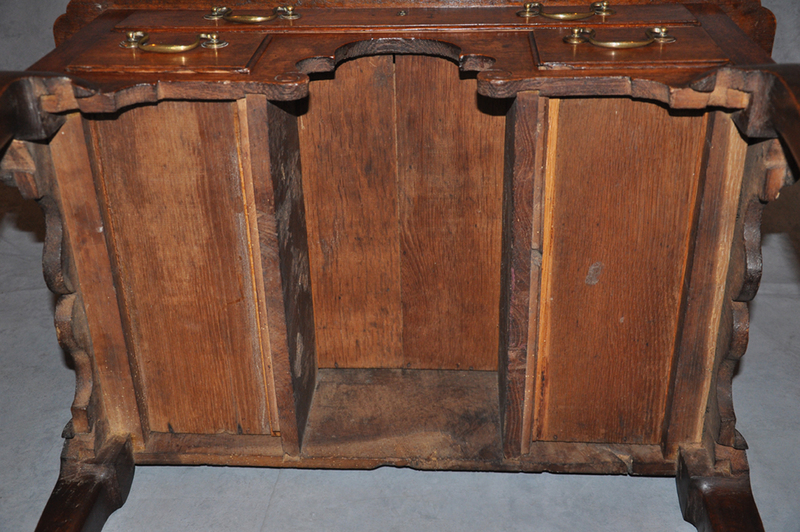 The underneath surface is dry and untouched ,it is a light honey colour and the Oak is well figured. 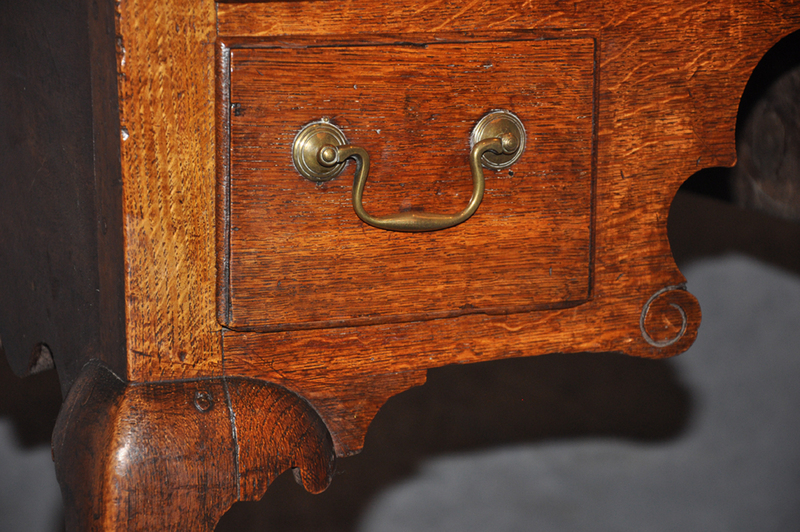 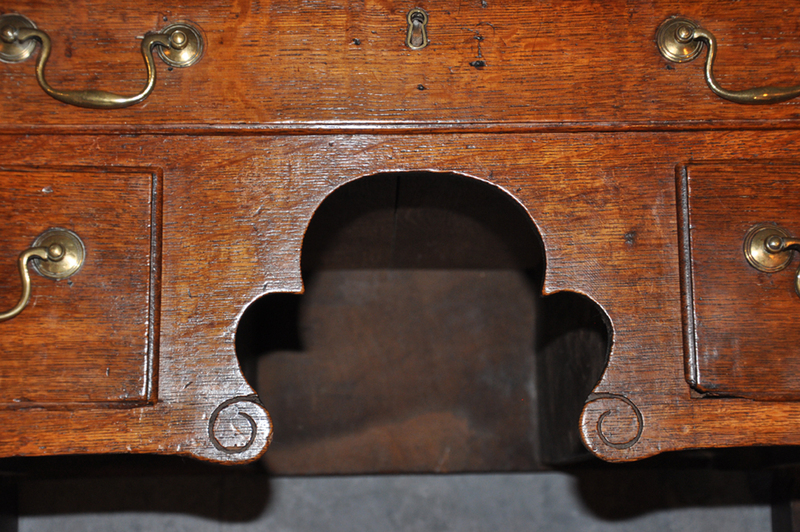 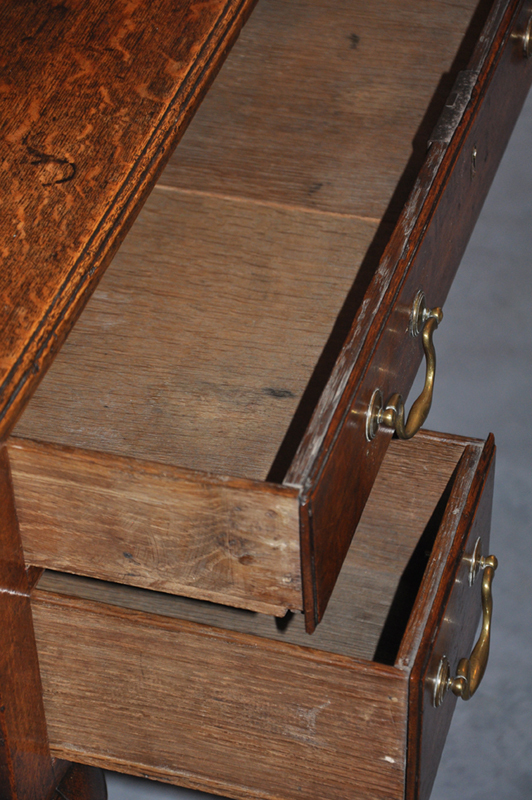 The handles have been replaced many years ago and date to the late 18th century.